The iPhone can be - and has been - accused of very many things, but being 'tricky to use' generally isn't one of them. You try telling that, though, to the one in eight iPhone owners (that's 12 per cent) who've returned the device to the shop from where it was bought: you'll be in for a mighty shock indeed. Mind you other so-called 'smartphones' fare far worse. Around 14.5 per cent of people have been disgruntled enough by their Blackberries to take them back, while other smartphones have resulted in 21 per cent of the devices being returned. The problem, according to Opinion Research in Princeton, USA, is that smartphones are now finding their ways into the hands of non-geeks and some of them haven't got a clue how to even get started with the device. "Smartphone manufacturers are still producing out-of-the-box instructions more in line with what a tech savvy IT pro might do," says Kevin Wood, technology analyst at Opinion Research Corp.
"It's like buying someone an ugly tie. They are going to return it because it's not really their style." 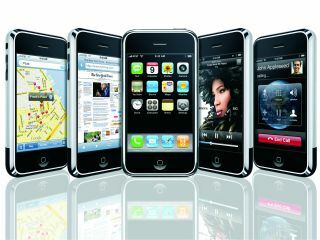 Opinion Research surveyed 2,000 people who had received electronic gadgets, including smartphones, for Christmas. The online poll identified 16 different products. The iPhone ranked 5th overall.